Granting the access to a visitor based on host’s decision, open door or boom barrier. Visitors are able to complete the entire check-in and out process without any or minimal assistance. VisiApp is designed with industry standard and modern human interface guidelines, which keep it simple and easy to use tool. 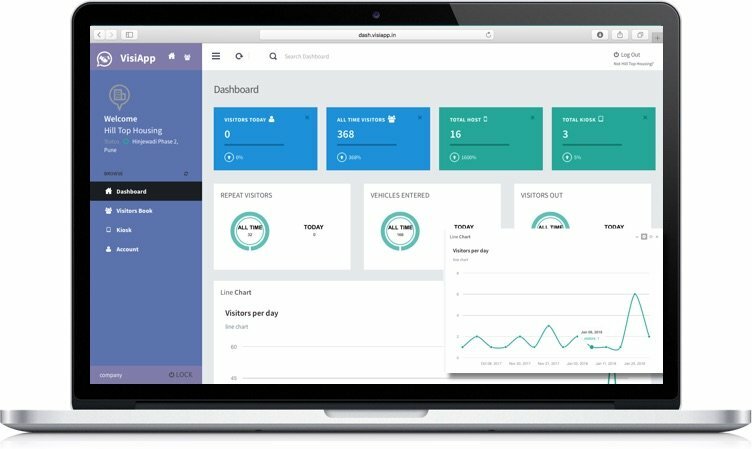 When you think about Visitor Management System (VMS), you think VisiApp. 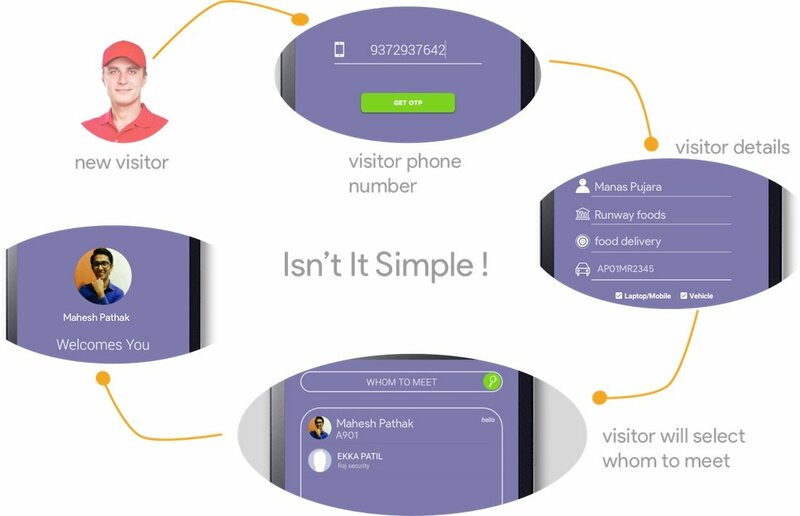 VisiApp gives you full control of your Visitor with updated picture, name, mobile and purpose of visit. You can retrieve information at any point of time from any where in the world. 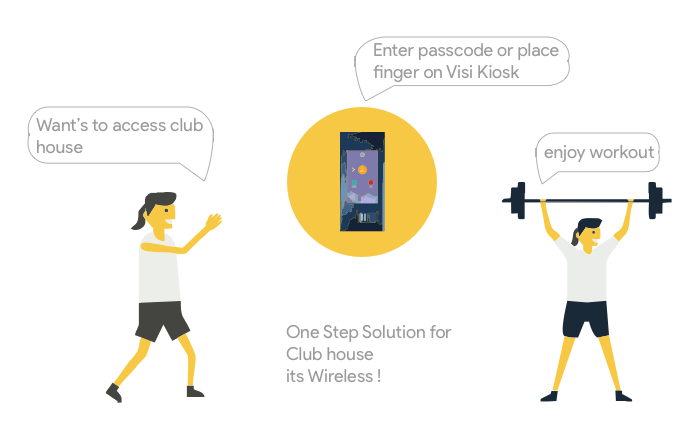 VisiMaster (kiosk), is placed at the entry gate while host app or VisiApp, is installed on smart phones of the host. VisiMaster kiosk greets a visitor and asks to enter phone number. The system validates the phone number.  In case of a new visitor, visitor will get an authentication OTP on the phone number entered. The old/regular visitor skips this procedure altogether. Upon validating the OTP, the visitor is prompted to pose for a photo and subsequently is asked to enter name, company details, vehicle no. and things carrying by visitor. The next step is to choose the name of the person visitor wishes to visit by picking name from a directory seen on the screen. At this point, cloud based VisiApp engine is triggered, which establishes a two way communication channel between the smart phone of the host chosen by the visitor and the kiosk. 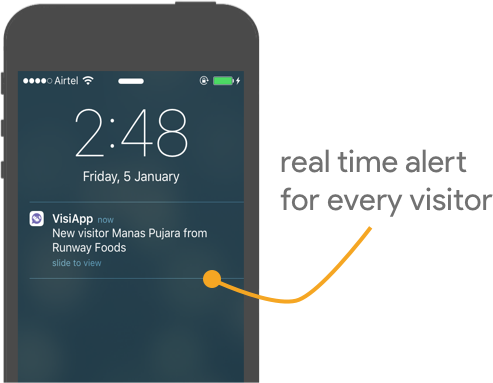 At this time, host gets a notification on his smart phone displaying the visitor’s mobile no., name & the photo just clicked. host has a choice to accept the visitor, reject the visitor, speak with the visitor or send a message to the visitor. 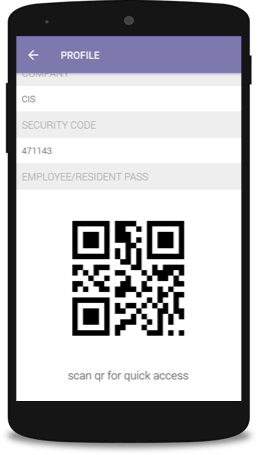 Upon validating the pass code or finger, VisiMaster kiosk open door for resident. It's Simple yet powerful ! Leave your contact details and message, we will get back to you. 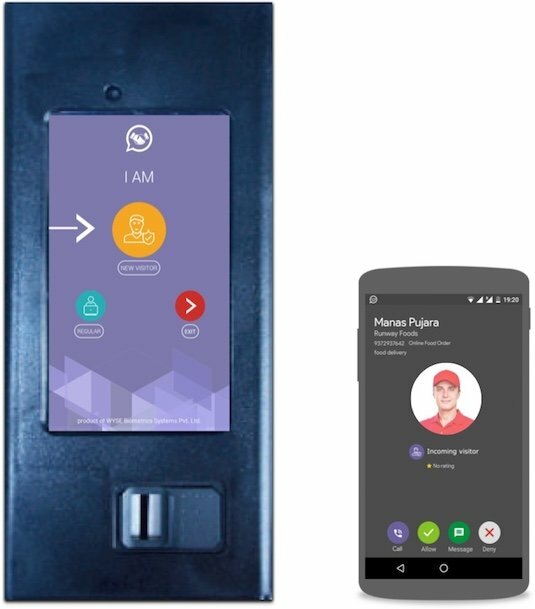 product of WYSE Biometrics Systems Pvt Ltd.